Unless your organizational skills are top notch and you’re very systematic, chances are your tunes may be stored in various places like your cellphone, MP3 player or it might be hidden away in your laptop. But no matter how you manage your playlist, one thing is certain – you want the best portable wireless speakers to play your favorite songs. So, ditch those old laptop speakers and wimpy earphones, get the best Bluetooth wireless speaker that can produce high-fidelity sound. It’s more portable and it packs a lot of punch! With our current Bluetooth technology, we have been given the opportunity to listen to our music using different mobile devices. You no longer need to plug-in your smartphone or your music player via a cable or place it in a common docking station. Today, you can simply pair your mobile devices to your Bluetooth speaker and everything can be controlled through your device. More and more audio device manufacturers are shifting to wireless technology. We can see several brands and models of speakers that are now Bluetooth-enabled. Therefore, there’s a sudden influx of audio products on the market and many consumers are more interested in wireless devices. Bluetooth wireless speakers are more convenient and it offers remote connectivity, usually within the maximum range of 30 feet. When you’re window shopping on an electronic store or you’re simply browsing online for a good Bluetooth wireless portable speaker. You might be just looking into the design, and you may not be aware that each speaker has its strengths and weaknesses. What do you really need to look for in a wireless speaker? We all know that all of them are portable units, but they may not have the same bass reverberation. Some are more powerful than other units, though others may have a certain edgy design that would favor a particular setting but won’t perform well in another environment. No matter what the case, here are some essential guidelines that you need to consider when you’re out there and shopping for a Bluetooth speaker system. Even if it looks good and has a very sleek design, you still need to know if it can deliver the sound quality you’re looking for in a speaker. Otherwise, you need to look for another one. Sound quality must be your primary concern. There’s no reason to sacrifice your hard-earned money for aesthetics. One of the most essential aspects to look for in a speaker is frequency response. A speaker system that has a wide frequency response can provide the clearest sound in both high and low tones. It must also have a good balance of low frequency which is commonly associated with bass performance and high frequency or drivers for the best quality sound. A good Bluetooth speaker must also offer 2.1 channels, digital-to-analog converters and simulated surround sound capabilities. When you have done all the testing and you’ve proven that a particular Bluetooth speaker can perform well. Your next step is to look for other useful features. Actually, there’s a variety of features that are available in a certain model. Some wireless speakers can be used to charge other mobile devices. One good example is the JBL Charge portable Bluetooth speaker. Others have speakerphone capabilities, which enable them to be used in conferencing. As a matter of fact, there are newly-released portable speakers that are NFC-enabled (Near Field Communication). Although Bluetooth connectivity should not only be the option these speakers should have. You must also check if they have an auxiliary input which is necessary to plug-in devices that are not Bluetooth-enabled. There must also be an audio cord included in the package, but you also have the option to buy, which is normally priced at $10. Another important thing to check is the warranty, which is given and honored by the manufacturer. Basically, branded Bluetooth speakers have 1 year warranty. This means that if anything happens to your speaker within 1 year, they will either repair or replace the unit. However, you also need to read the “Terms of Conditions”, so you will know what types of events are accepted under the warranty. Credible audio device manufacturers have a technical support department which provides help and assistance to their clients. You’ll never know when a problem will arise, and you will definitely need to contact the manufacturer in order to ask about troubleshooting advice or warranty information regarding their product. So, it would be wise to check for telephone support, email support or chat support. Bluetooth wireless speakers are well-known for their versatility and portability. They can easily pair with various mobile devices without sacrificing sound quality. Most importantly, you’ll have the capability to listen to your favorite music without relying much on cords and cables. 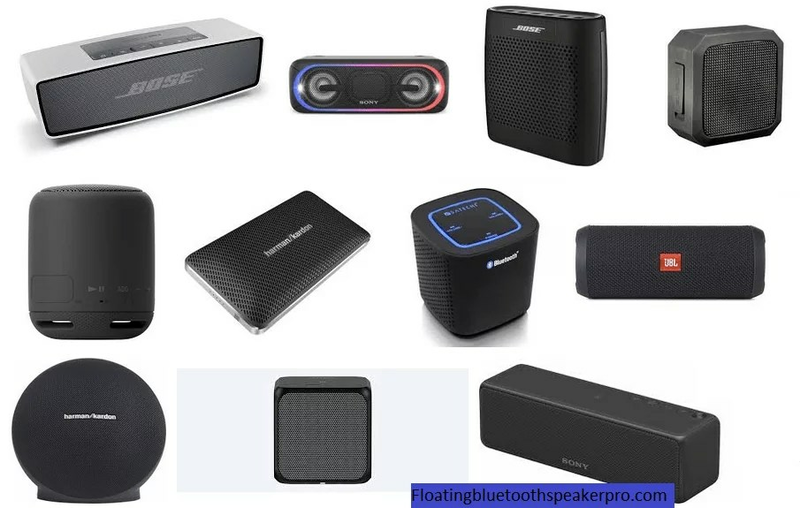 Although it will take some time to do your research and this will include reading reviews, product comparison and actual testing before you can find the best Bluetooth speaker that meets all your expectations.